Expanding its web of reach to every television household in the country, Zee Entertainment Enterprises Limited (ZEE), India’s leading television, media & entertainment conglomerate, launches ‘Zee Anmol’, a free-to-air general entertainment channel (GEC) on 1st September. ‘Zee Anmol’ will be the first channel in the Indian television space to be simultaneously launched on mobile and television platforms. Popular stars Kratika Sengar, Sayantani Ghosh, Binny Sharma and Sa Re Ga Ma Pa 2012 winner Jasraj Joshi alongside ZEE’s official spokespersons are in the city today to announce the launch of the new channel. Positioned as ‘Dil Choo Jaaye’, ‘Zee Anmol’ is a channel that believes in touching people’s hearts through real, genuine emotions that will be depicted through some of the best shows that Indian Television has ever seen. ‘Zee Anmol’ stands for the most invaluable things in life – Love, family, memories! Taking the route of ‘Entertainment along with Value’, the channel will interact with its viewers through interesting on-air contests that ask learning- based questions centered around its shows. Interesting to note is the unique gratification for these contests that will have the winner’s snapshots featured on the channel along with their family details, thereby giving viewers a chance to make their parents proud! Already available across major MSO’s, cable operators and key DTH platforms such as DD Direct and Dish TV, ‘Zee Anmol’ will showcase some of the choicest, hand-picked content in the history of Indian television including the most unforgettable shows from Zee TV’s repository. It will also feature some of the current hot favorite fiction and non-fiction properties of Zee TV as well as entertaining movies and kids’ content. 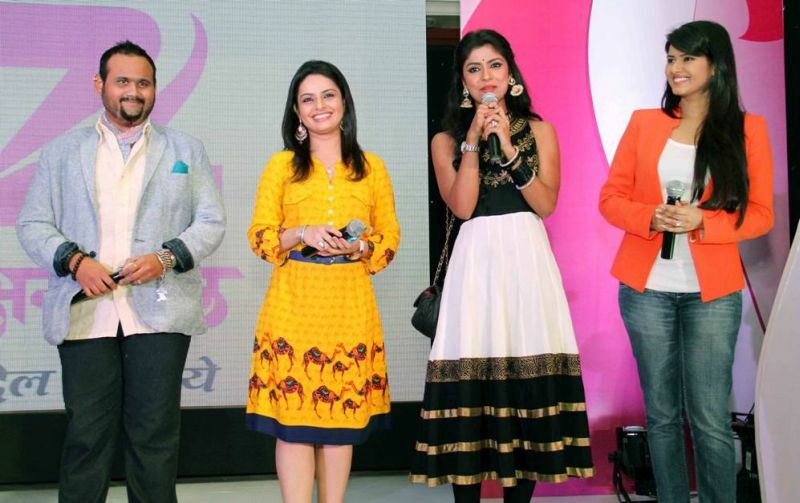 The programming line-up of ‘Zee Anmol’ in its launch phase includes shows like ‘Pavitra Rishta’, ‘Choti Bahu’, ‘Saat Phere’, ‘Naagin’, ‘Maayka’, ‘Kasamh Se’, ‘Sindoor’, ‘Jhansi ki Rani’, ‘India’s Best Dramebaaz’, ‘Shabaash India’ and ‘Dance India Dance’ amongst others. The marketing campaign for ‘Zee Anmol’ will be audio-visual intensive with a slew of heart-warming promos of the channel that will hit the air, capturing how it stands for the most relatable situations at home and lively exchanges with friends and family that bring a smile to your face. Children’s interest in the channel’s shows will be piqued through extensive school contact programmes. Outdoors and transit media branding in select markets will optimize the buzz. Tune in to ‘Zee Anmol’ for entertainment that is bound to touch your hearts, starting 1st September!